Jimmie Soto has been the Executive Director of the Independent Living Center of Kern County since 2011. He earned a Master’s Degree in Education Administration and Supervision and a Bachelor’s degree in Social Work, both from California State University, Fresno. While in college, Jimmie was an active member of the Advocates for Students with Disabilities. Jimmie is an active member of the California Foundation for Independent Living Centers Board and their Executive Committee. He has been appointed to the State Independent Living Council (SILC) since 2013, and is on the State Plan for Independent Living committee with the SILC. He is a proud member of the local VOICED coalition, comprised of other non-profit Directors throughout Kern County. He is also a proud member of the Bakersfield East Rotary Club. Before moving to Bakersfield, Jimmie held the position of Director of Program Services at Fresno County’s Independent Living Center, a position he held since 2001. Jimmie is passionate about the independence of all people with disabilities. Disability has affected his own family with his own visual impairment and having a brother that is deaf. Therefore, Jimmie knows some American Sign Language. In his spare time, Jimmie likes to spend time with his wife and three brothers, exercise, and watch football. 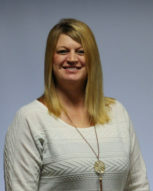 Tammy Hartsch is the ILCKC Finance Manager. Tammy attended Phoenix University and majored in Accounting and Finance with plans to continue her education as an ongoing goal to be a life-long learner. Before joining ILCKC, Tammy worked in the accounting field for many years gaining a vast knowledge in the public and private accounting sectors. Combining expertise in Accounting, Finance and Human Resources Tammy brings a broad experience range to the ILCKC. 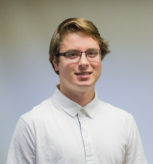 Santeri Salomaki came to Independent Living Center of Kern County with over two years of finance and accounting experience and a Bachelor’s of Science Degree in Business Administration and concentration in Marketing from California State University of Bakersfield. At California State University of Bakersfield, Santeri made the Dean’s list in the school of business six times and graduated with over a 3.5 GPA while being a finance tutor to help his fellow colleagues in finance and accounting. Santeri was born in Finland, speaks fluent Finnish, and has a diverse background from living around the US and parts of Finland. Since becoming a member of the ILCKC team, Santeri has brought his knowledge of business to improve finance-related issues and procedures. Jan Lemucchi is the Resource Development Manager for Independent Living Center of Kern County. As Resource Development Manager, Jan coordinates fund development, social media formats & posting, website, marketing, communications and agency events. 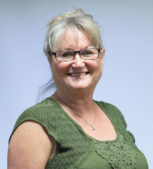 Jan has a Bachelor’s Degree in Plant Science from CSU, Fresno; grant writing certificates from The Grantsmanship Center, Los Angeles; California state certification for Court Reporting, Watterson College, Bakersfield; and a graduate of Greater Bakersfield Chamber of Commerce Leadership Bakersfield. Jan’s 35+ year career in working with non-profits has an emphasis on marketing, public relations, event planning and fundraising for people with disabilities. 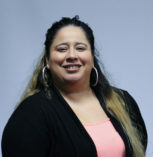 Laura Rodriguez is the Program Manager for program staff here at Independent Living Center of Kern County (ILCKC). 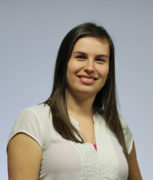 Laura joined the ILCKC family in 2011. 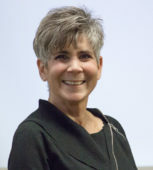 Laura’s background includes a Bachelor of Arts in Liberal Studies and a Master’s Degree in Rehabilitation Counseling Services from California State University, Fresno. Laura’s previous field experience includes: 3 years’ experience working with individuals with disabilities in an educational and community setting providing both recreational opportunities and teaching independent living skills. Laura was involved in the recruitment and personal development of students in a Transition Program for Students with Disabilities by providing personal, academic, vocational, behavioral guidance and counseling services to students with disabilities. Laura also served as a student teacher for 1 year in the Fresno United School District. In the short time of being with ILCKC, Laura believes she continues to learn from fellow co-workers and consumers. 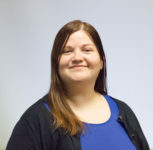 Laura is proud to be a part of a great team here at ILCKC and looks forward to making a difference in the lives of people with disabilities she encounters. Stephany began as a volunteer nearly four years ago, then became an employee of ILCKC in October of 2016. She works well as an ILCKC team member by bringing professional, office and organizational skills to the ILCKC staff team. Stephany grew up in and graduated from Delano High School with an interest in working in the medical field. Stephany recently graduated from High Desert Medical School as an ultrasound technition. Renee began with Independent Living Center of Kern County as a receptionist volunteer for one year. 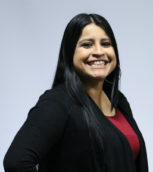 She has since worked for ILCKC for the last 8 years as an Independent Specialist assisting consumers with Housing and Independent Living services as well as helping consumers with other programs and services offered by ILCKC. Prior to ILCKC, Renee had 27 years in customer service. Renee holds an Associate Degree in Administration of Justice as well as graduating in 1999 from the Kern County Sheriff’s Department Academy and holds a PC 832 and Firearms degree. My name is Jessica Carrillo. I started volunteering with ILCKC after graduating from East High School. Before being hired as the Administrative Assistant/Volunteer coordinator in 2010, I volunteered for one year. I moved up to Office manager after serving five years at the front desk, I then was transitioned to being an Independent Living (IL) Specialist. I currently am happy to assist people with disabilities with all ILCKC core services such as SSI, Housing, Information & Referral (I&R), Advocacy, Peer Support and Transitions Services as an IL Specialist. I am also certified as a Covered California Insurance counselor for ILCKC. Harvey Clowers came to Independent Living Center of Kern County in July 2004. With thirteen years experience with ILCKC, Harvey has worked in the area of Financial Benefits while assisting people with applying for, and assisting in, appeals processes with US Social Security benefits program. He also works in the field of Assistive Technology (AT), Independent Living Skills training, and disability-related issues. Harvey is a California State Certified F.A.S.T. (Funcitonal Assessment Service Team) member relating to the Americans with Disabilities Act (ADA) law for disaster planning. He is a member of the In-home Supportive Services Advisory Committee appointed by the City of Bakersfield Council members and the Kern Senior Network Board Treasurer. Harvey enjoys national bowling level competitions with the American Wheelchair Bowling Association (AWBA) and fishing in his spare time. Patty Grubbs came to ILCKC with an Associate Degree in Science. Patty is married to and her husband Fred for 25 years. They have been local business owners of a feed & hardware store and lumber store. Patty has experience as a Licensed Realtor for over 10 years helping people buy and sell homes in the Bakersfield area. 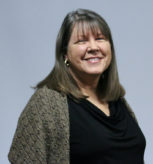 Patty brings her background, experience, and skills to ILCKC with a love for aging adults and people with disabilities. As ILCKC’s receptionist, enables Patty to assist with helping those in need, and at the same time, assuring they get to the right person for help. Her knowledge in business and working with people of all ages and avenues of life gives an advantage to help in understanding those in need of all walks of life. Patty has interpersonal skills and compassion, along with understanding and listening abilities, to assist people with disabilities. Carol Henry has been the Transitions Assistant since December 2016. She brings to Transitions many skills acquired during her work career. Skills brought to ILCKC are: goal-setting; family assistance which helps meet family needs obtain active goals for participants, families and the community; manager; and scheduler. The Transitions program requires Carol to assist as support with In Home Support Services (IHSS), affordable housing, and housing set-up. Carol eagerly assists with transitioning individuals back into the community to live, once again, independently while managing their own lives. Assistance is also needed helping consumers meet personal goals of independence such as daily or weekly household duties. Carol’s life skills makes her a good fit for the Transitions program as well as for ILCKC. She proudly enjoys working with the ILCKC team. Luis Ortega came to Independent Living Center of Kern County in April of 2013. Before coming to the Independent Living Center, Luis worked with autistic individuals in enhancing and improving their independence. Luis works in the programs of Assistive Technology (AT) and Older Individuals who are Blind (OIB). As an AT Coordinating Staff member, Luis has learned how AT devices and equipment enhances the lives of individuals. At the moment, Luis continues to work with individuals with disabilities towards improving their independence. 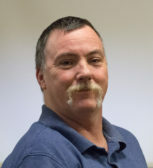 David Hendrickson was hired by Independent Living Center of Kern County as an Assisted Technology Associate in May of 2017. David grew up in the greater Los Angeles area and was diagnosed with the sight robbing disease called retinitis pigmentosa. In the early nineties, David began using and self-teaching adaptive technologies in order to have information more accessible via a computer. He used magnification and screen reader programs to assist his visual disability. David is associated with the Braille institute of Los Angeles and the Junior Blind of America. As owner/operator of Cyber Works Computers, Hendrickson specializes in small office networking. He found himself reaching out to the Blind and visually impaired community and individuals with cross-disabilities due to emerging technologies offering opportunities for education and employment. Today’s technologies are more attainable now than any time in history. David is currently a Bakersfield delegate for the California Council of the Blind and tech consultant for the Blind institute of Technology. These experiences bring a wealth of experience for ILCKC’s Assistive Technology department. ILCKC welcomes David to our team of staff. Susan Privett comes to ILCKC with over 18 years of experience working in the medical field of patient advocacy, medical billing, and medical equipment and supplies. Susan’s life experiences include working with her husband, John, who started All Medical Supply in 1990 and served the community for over 24 years, working in the private, public and non-profit sectors, and community volunteering with many different organizations. Susan has a deep understanding in negotiating the web of life through the many paths journeyed upon in teaching and advocating for the needs of others, as well as her own family members who have “diversified abilities”. Susan believes the OIB program (Older Individuals who are Blind and Visually Impaired program) is a good fit and will give her opportunities to serve consumers with knowledge and compassion. The ability to learn and teach different methods, tailoring OIB instruction to consumer-specific needs, and using the many types of assistive technology devices available are essential tools which enable others to preserve and enhance the visual acuity still possessed by our ILCKC seniors. “Where there is a will, there is a way”, is a motto Susan believes in to empower others to live fuller lives as independently as possible. Older Individuals who are Blind and Visually Impaired (OIB) program specialist. The OIB Specialist assists individuals who are 55 years and older with specialized services assisting them with living independently. Stephanie graduated from Bakersfield High School in 2006 and continued her education at Bakersfield College where she earned her Associate of Arts degree in American Sign Language. While attending BC she had the opportunity to experience Gallaudet University with her professors on a week-long educational “tour”. Stephanie then attended California State University, Northridge (CSUN) where she entered the Interpreting Education Program . While an undergraduate there, she joined the Deaf sorority, Alpha Sigma Theta, where she served on the Executive Board for one year and Alumna Advisor for one year. Stephane was involved in the Deaf Studies Association (DSA), Real Women, Real Beauty (fundraising event for DeafHope), Sign ‘N Run and many other Deaf events. Stephanie graduated from the program and earned her Bachelor of Arts (BA) degree in Deaf Studies with an emphasis in ASL/English interpreting. After earning her degree Stephanie continued her education in the Accelerated Collaborative Teaching program at CSUN where she taught American Sign Language for one year at the secondary level. She stayed in the Los Angeles area as a freelance interpreter until her move back to Bakersfield in 2015. 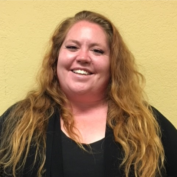 Stephanie has been involved with the Deaf community for over 10 years and is excited to bring more awareness to Deaf Culture, as well as, work with the Deaf community of Bakersfield. Alex has been involved in the Deaf Community for over 15 years. She has interpreting experience predominantly in the educational setting but also has festival, concert, freelance, and religious interpreting experience as well. She is eager to collaborate with other professionals, consumers, and advocates to help improve and raise the bar for interpreting services provided here in Kern County. 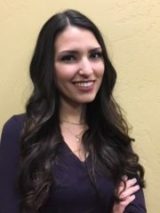 Savanah Adams comes to ILCKC with a Bachelor’s of Arts degree in Psychology from California State University, Bakersfield, and an Associate’s of Arts Degree in Liberal Studies from Bakersfield College. Interpersonal skills gained from Savanah’s education, and many years in customer service, have prepared her to serve ILCKC’s consumers with a sensitivity and kindness allowing consumers to feel welcome and ready to receive services.